St. Joseph Parish and School offers a quality athletic program to students enrolled at St. Joseph School as well as the St. Joseph Christian Formation Ministry (CFM) program. All boys and girls in grades five through eight are encouraged to participate in volleyball, basketball and track. 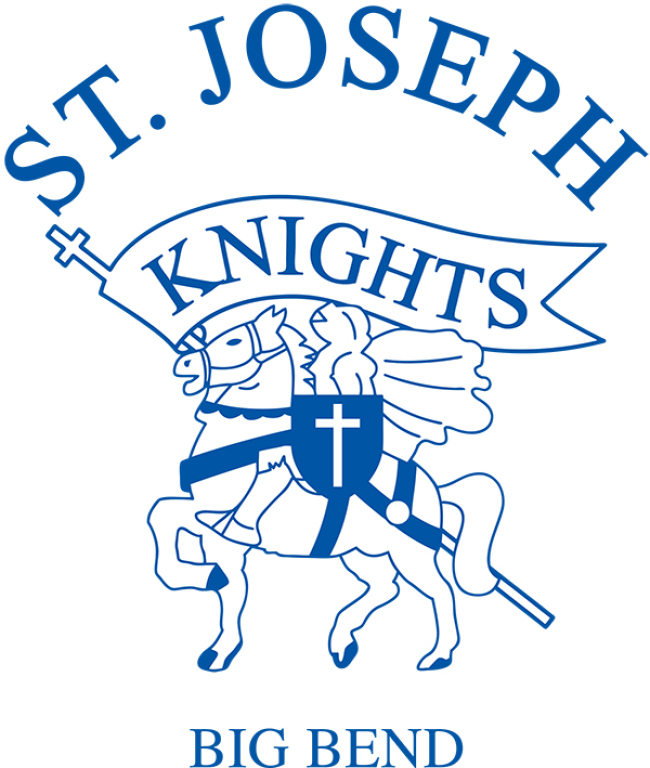 St. Joseph's teams are known as the "Knights". The St. Joseph Athletic Association strives to provide a positive experience for all players, coaches, parents and spectators. We enforce good sportsmanship, teamwork, respect for authority and self-discipline, while helping each participant gain knowledge of the rules and strategies of each sport in order to attain skills which commensurate with each individual's level of ability. Going into our third season. This program is geared for students in 1st through 4th grade. The season occurs Saturday mornings for 7 weeks from mid January to the end of February. The Junior Knights program is designed to give our younger children a taste of the game of basketball. The kiddos will learn the rules, basic drills, positions, and have a chance to play the game. Our adjustable hoops enable the 1st and 2nd graders the opportunity to make baskets without being discouraged. During practice things are kept fun while also teaching the kids how to play the game. Attendance is open to any member of the St. Joseph Parish Community who is interested in our organization. Please contact the school office (262) 662-2737 to confirm meeting dates. Now looking for volunteers for vacant board positions. Please read over job descriptions and prayerfully consider giving your time to the youth of our Parish family.